The Sacsayhuamán Archaeological Park houses 33 archaeological sites, among which are: Sacsayhuaman Fortress, every June 24th, the Inti Raymi or Feast of the Sun is celebrated in the esplanade of Sacsayhuamán. In the archaeological complex of Qenko (labyrinth), ceremonies were performed in honor of the Sun, Moon and Stars; Dating from the year 1,500 AD The Puca Pucara precinct presents numerous precincts, interior plazas, watchtowers, aqueducts and roads; And would have served as a place of rest and lodging of the Inca. On the other hand, Tambomachay would have had religious functions linked to water. 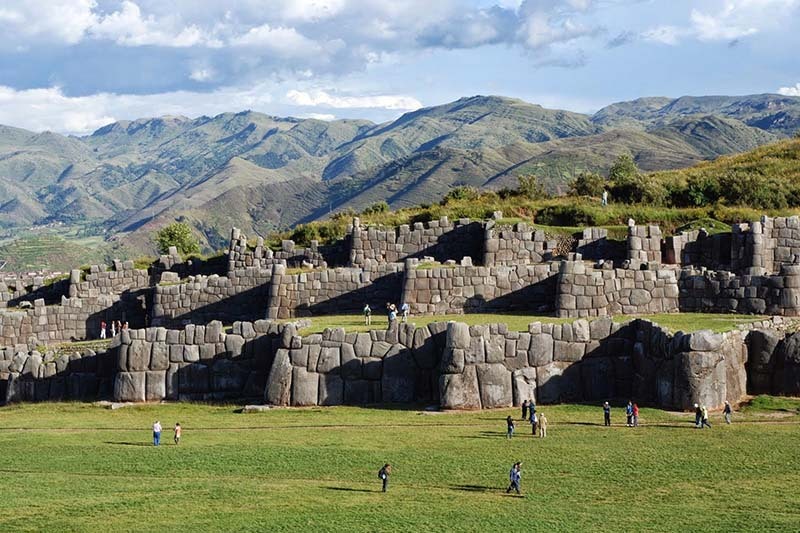 Where is the Sacsayhuaman Archaeological Park? The Archaeological Park of Sacsayhuaman is located 3 km from the city of Cusco, in the upper part of a mountain, has a total area of approximately 3,000 ha. It has a great variety of Andean flora and fauna; Flames, hawks and kestrels can be seen very frequently in this place. What places includes the Archaeological Park of Sacsayhuamán? 33 archaeological sites make up the archaeological park of Sacsayhuaman. 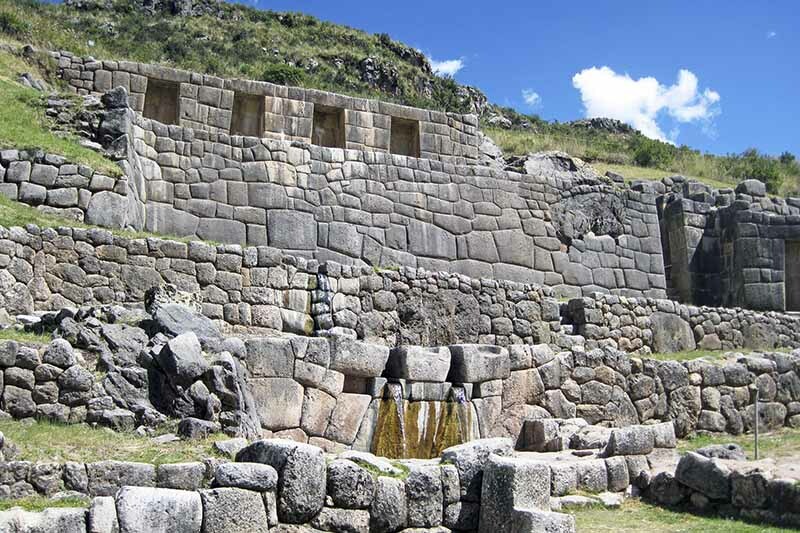 Here are some of the most important sites of the Sacsayhuaman Archaeological Park; To visit these places you will need the Cusco Tourist Ticket; If you do not know how to buy it, enter here. It is located 2 km northeast of the imperial city of Cusco (10 minutes by car). Sacsayhuaman means “place where the hawk is satisfied”. It is estimated that the construction of La Fortaleza de Sacsayhuamán required the work of more than 20,000 men, for a period of 70 years; Presents a work of impeccable engineering (gigantic carved rocks that fit with absolute precision, without glue some). Sacsayhuaman must have been a titanic complex, with sacred lagoons and numerous ceremonial temples. It is known that it could have been a religious construction, but its location and style, made the Spaniards and chroniclers consider it a military building. 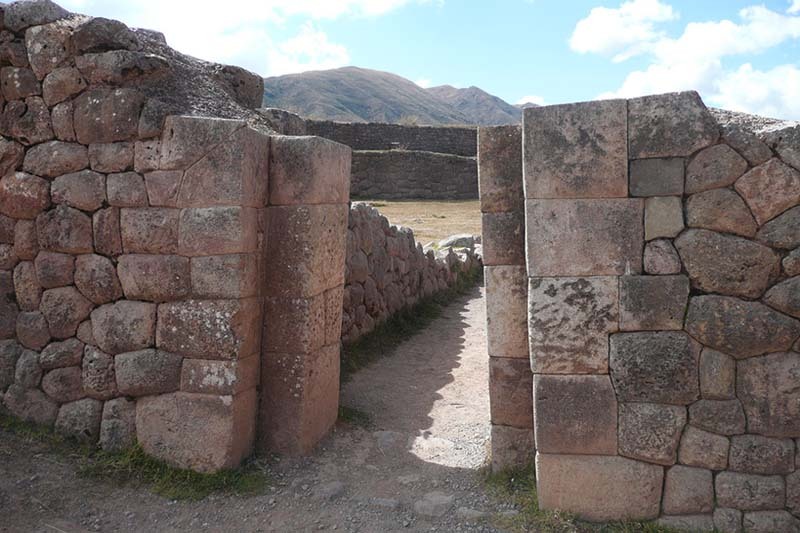 In this place the most important temple of the Hanan Qosqo (high Cusco), dedicated to the cult of the sun (Inti), moon (Quilla), the stars (chaska), the Ray (Illapa) and other deities to which the Incas worshiped them. It is considered cyclopean, by the size of its stones, which in some cases weigh between 90 and 125 tons; Ah and is considered one of the most mysterious places on the planet. Visiting hours: Monday to Sunday from 7 am to 6 pm. 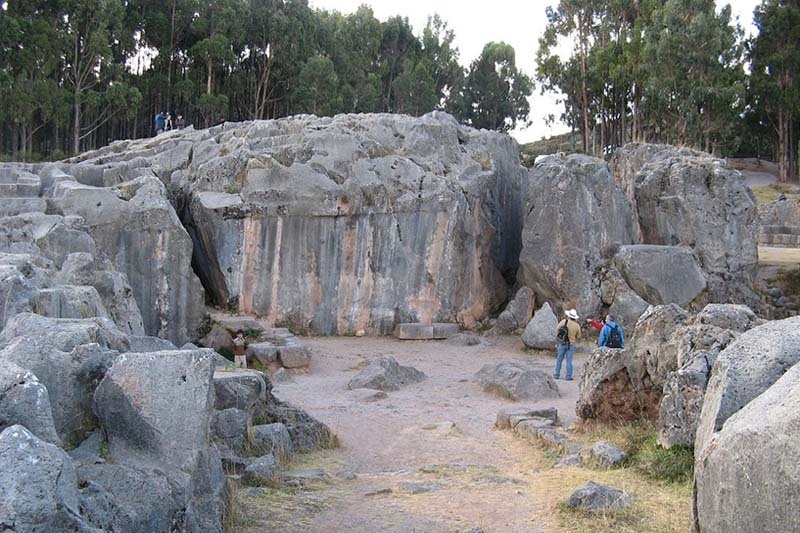 It is located 3 km northwest of the plaza of weapons of the city of Cusco (15 minutes by car). Qenqo was a ceremonial center built during the Huayna Capac government, as a celebration for the birth of his son Huascar. Quenqo has underground galleries and a semicircular amphitheater, which is worth visiting. Its construction dates from the year 1 500 d.C. Qenko (or labyrinth), is considered a sacred place in which ceremonies were celebrated in honor to the main Inca deities, the Sun, the Moon and the Stars. It is located 7 km northeast of the imperial city of Cusco (30 minutes by car). It receives the name Puca Pucara (red fort) due to the color that their stones acquire at dusk. In this complex you can find numerous enclosures, squares, watchtowers, aqueducts and paths. It would have fulfilled the function of tambo (place of rest or lodging). It is said that when the Inca wanted to visit Tambomachay, he and his court were staying in Puca Pucara. Its fortified appearance makes it called fortress. It is located 7.5 km from the city of Cusco in the northwest direction (35 minutes by car). Tambomachay is also known as the Inca baths. This complex has a series of walls, canals, waterfalls and aqueducts; Was a resort that served as a resting place for the Inca (governor of the empire), besides serving as a place of worship to water. One of the most outstanding characteristics of Tambomachay, is without a doubt its hydraulic system. It contains 2 aqueducts carved in the rock, which carry and maintain a constant flow of clean water throughout the year. Tambomachay is closely linked with Puca Pucara, and is related to the cult of water and the regeneration of the earth. According to the chroniclers, this enclosure dates from the year 1 500 AD It has an area of 0.5 ha, and is built almost entirely of limestone. Average temperature: between November and March, the average temperature is 12° C. Between April and October, cold nights, sunny days and average temperatures of 10 ° C.
Climate: Cusco has 2 well marked seasons, a rainy one, that goes from November to March, and one dry (highly recommended), that goes of April to October. Important: the entrance to the Archaeological Park of Sacsayhuamán is possible only with the Tourist Ticket of Cusco.